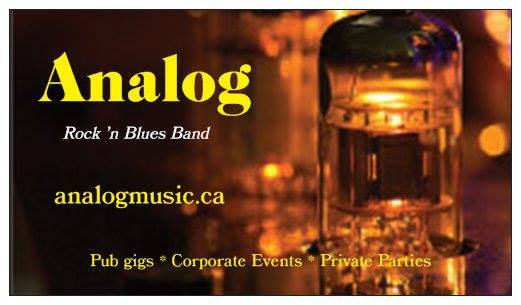 Welcome to the home of Analog - the rock 'n blues band that knows how to get your party started and keep it going - all night long! 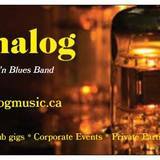 Our set lists are filled with some of the greatest music of our time - with a unique mix of classic rock, blues, R&B and soul music from legends such as The Allman Brothers, Elvin Bishop, Boz Scaggs, Van Morrison, CCR, The Doors, The Doobie Brothers, The Rolling Stones, Dire Straits......and so many more. Our music selection is recognizable, danceable and most importantly - not overplayed! Songs that have you thinking - "Wow, I remember that song!"